One hundred and fifty years ago, on July 7, 1866, New Hampshire Governor Frederick Smyth signed an act creating the New Hampshire College of Agriculture and the Mechanic Arts, the earliest incarnation of the University of New Hampshire. It was just four years after President Abraham Lincoln had signed into law the Morrill Act, which called for the federal government to provide each state with a grant of land that could be sold “for the endowment, support and maintenance of at least one college” — and fully a decade after Durham farmer Benjamin Thompson had written his will to provide for the same. The college’s first graduates were farmers, three young men who earned their degrees in 1871 and more than likely returned home to apply the practical science they had learned to their families’ land and livestock. The first two female students enrolled in 1890, and when the college moved to Durham in 1893 there were 10 women among the class of 51 first-year students, who were joined by 13 upperclassmen completing their degrees. Over the course of 150 years, UNH has educated some 165,000 students, men and women from every walk of life and every corner of the globe. Our students have become scholars and humanitarians and visionaries. They’ve led companies and countries; they’ve walked in outer space and plumbed the deepest depths of the ocean. They’ve won Pulitzer Prizes and Academy Awards, Stanley Cup titles and Super Bowl rings. For the astonishing range of their achievements, they’ve shared one common, essential factor: UNH was the place that set them on their path. 165,000 alumni. 165,000 farmers and inventors, doctors and lawyers, professors and public servants and actors and activists. It would be impossible to take the full measure of them all. 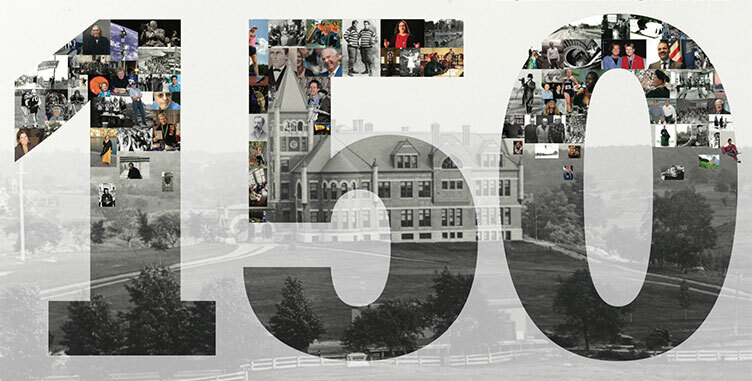 In honor of UNH’s 150th anniversary, we’ve instead chosen 150 individuals that represent the breadth and depth of what it means to be a Wildcat: undergrads, graduate students and a couple of non-grads, faculty members, coaches and staff. While there are sure to be some names and achievements you recognize, hopefully, there are a few surprises as well. From a first baseman from the Brooklyn Dodgers back when they were the Brooklyn Dodgers to the historian behind one of the most frequently cited — and misattributed — modern feminist quotes, read on to learn a little more about 150 individuals with whom you share the special experience of being a Wildcat. Del Bissonette ’19: first baseman for the Brooklyn Dodgers. William Andberg ’34: set more than 30 national running records in his 60s and won a place on the US Masters cross country ski team in his 70s. Ed Blood ’35: UNH ski team captain and ski jumper, competed in 1932 and 1936 Olympics. So-called “Barefoot Boy” pole vaulter Richmond “Boo” Morcom ’47 competed in the 1948 Olympics, demonstrating his trademark one-shoe-off style. 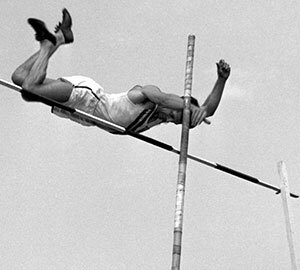 He later became something of a celebrity pole vaulter, appearing on the Bob Hope show with the likes of Jesse Owens, Wilt Chamberlin and Jackie Robinson. Rod Blackburn ’61: first UNH hockey player to be named a first-team All American. 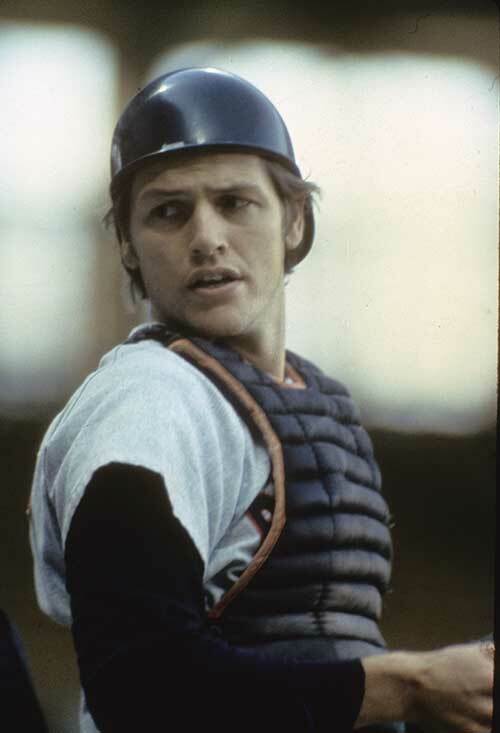 Famed MLB catcher and Hall of Famer Carlton Fisk ’69 came to UNH on a basketball scholarship and played on both the basketball and baseball teams. Drafted by the Red Sox, he left partway through his sophomore year. Rick Schavone ’71: Stanford University diving coach and diving coach for the 2012 Olympics. Dave Lumley ’77: Two-time Stanley Cup winner with the Edmonton Oilers. Bruce Huther ’78: NFL player and member of the Dallas Cowboys team that won Super Bowl XII. 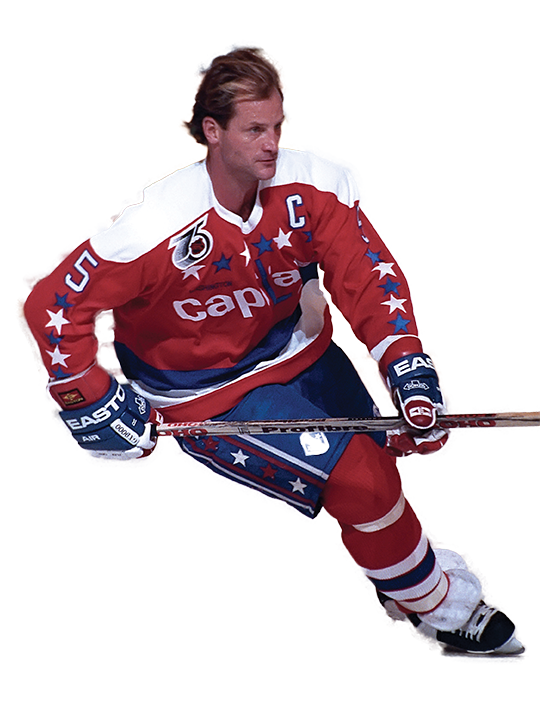 Ralph Cox ’79; the last player to be cut from Lake Placid Olympics “Miracle on Ice” gold medal team in 1980. Another two-sport athlete, Rod Langway ’79 played both football and hockey at UNH. The Hockey Hall of Famer left after his sophomore season and a year later won the Stanley Cup with the Montreal Canadiens. Carol Skricki ’84: rower, competed in double sculls at the 2000 Olympics. Judy White Currier ’84: became the first N.H. woman to complete the 1,161-mile Iditarod, in 1999. Joanne Duffley Dow ’86: Olympic racewalker and U.S. recordholder. Katey Stone ’89: head coach for the 2014 Olympic women’s ice hockey team. Dean Potter ’90: internationally known rock climber and BASE jumper. 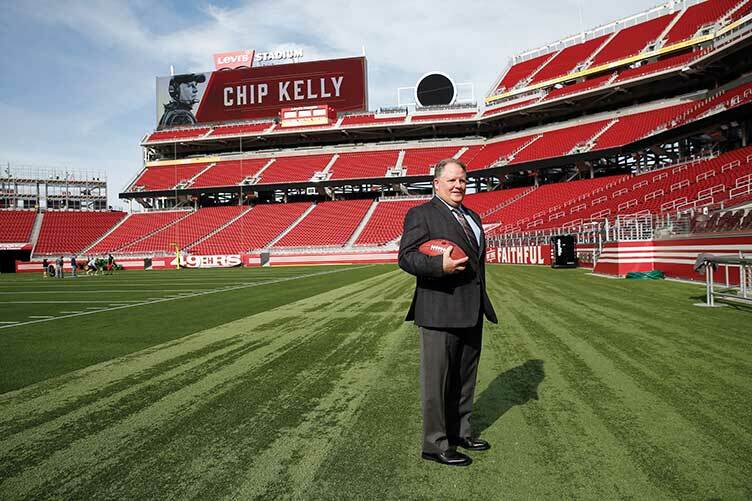 Dover native and Wildcat defensive back Chip Kelly ’90 rose to coaching fame as the head coach of the University of Oregon Ducks, spent three years with the Philadelphia Eagles and is currently head coach for the San Francisco 49ers. Patrick Weaver ’93: Nordic skier, competed in the 1998 and 2002 Olympics. In October 1993, Erin Whitten ’93 became the first female goalie to to win a professional men’s hockey game. Playing for the East Coast Hockey League’s Toledo Storm, she beat Dayton 6-5. 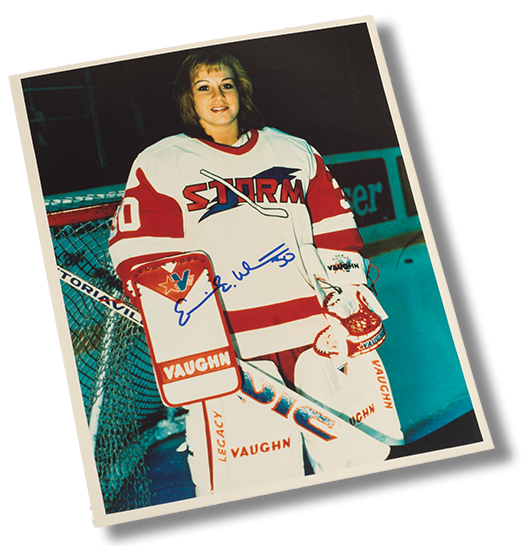 With USA Hockey (women’s), she was also the starting goalie for the 1994 World Championships. Karin Bye ’93, Sue Merz ’94 and Tricia Dunn ‘96: members of the 2002 women’s Olympic hockey team. Bye captained the team, which won Olympic gold. Bryan Muir ’95: Won the Stanley Cup with the Colorado Avalanche in 2001. Robel Teklemariam ’97: Nordic skier and sole athlete to represent Ethiopia at the Winter Olympics in 1998 and 2002. Brandy Fisher ’98: first-ever winner of the Patty Kazmaier Memorial Award, awarded to the top female hockey player in the NCAA. Jason Krog ’99: Winner of the 1999 Hobey Baker Award, given to the country’s top collegiate hockey player. Dan Kreider ’99: starting fullback and Super Bowl XL winner with the Pittsburgh Steelers. Corey Graham ’07: earned a Super Bowl ring with the Baltimore Ravens in 2013. 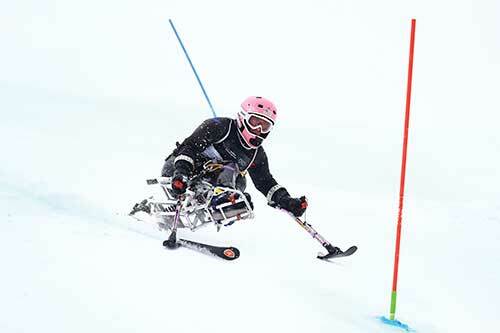 Alpine monoskier Laurie Stephens ’07 has never let spina bifida keep her off the slopes. Introduced to adaptive skiing at the age of 12, she went on to earn two gold medals at the Torino 2006 Paralympic Games and a silver in Vancouver in 2010. Tyler Walker ’08: Paralympic monoskier and gold medalist. Kacey Bellamy ’09: member of the 2014 Winter Olympic women’s ice hockey team. Taylor Chace ’10: sled hockey Paralympic medalist. Chad Kackert ’10: MVP of the Canadian Football League’s 100th Gray Cup, November 2012. 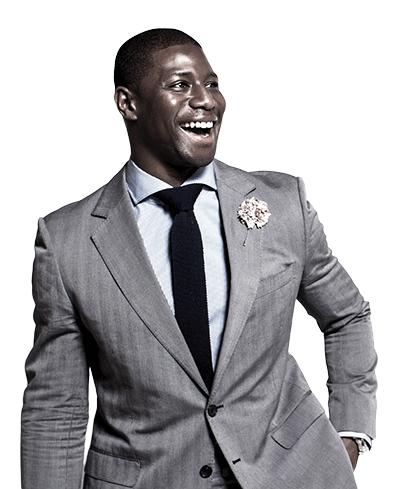 Jared Smith ’13: member of the Seattle Seahawks team that won Super Bowl XLVIII. 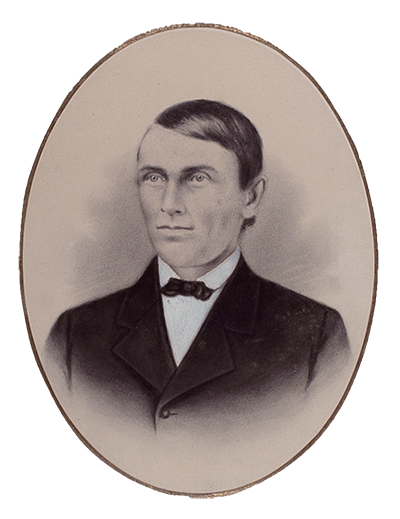 In 1856, never-married Durham farmer and businessman Benjamin Thompson wrote his will, leaving the state of New Hampshire the 253 acres that form the core of UNH’s Durham campus. Asa Smith: the first president of the New Hampshire College of Agriculture and the Mechanic Arts (NHCAMA), 1868. Ezekiel Webster Dimond was hired in 1868 as NHCAMA’s first professor, teaching general and agricultural chemistry. 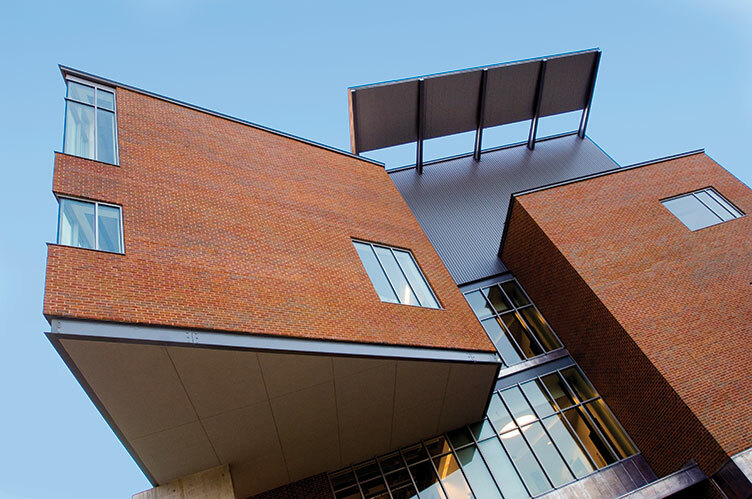 Durham’s Dimond Library is named in his honor. William Preston Ballard, Lewis Perkins and Charles Henry Sanders: NHCAMA’s first graduates, 1871. Belezar Ruevsky: UNH’s first known international student, 1886. 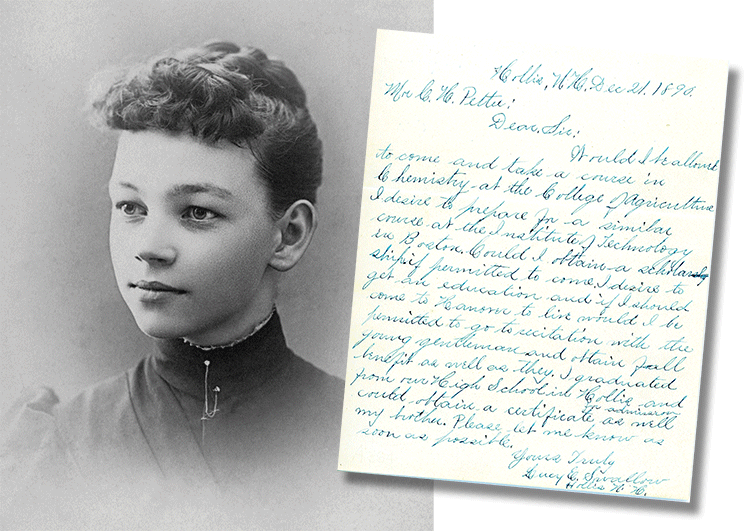 Lucy Swallow (pictured) and Delia Brown became the first female students to enroll in NHCAMA’s two-year degree program, in 1890. From Hollis and Hanover, NH, respectively, they chose not to continue when the college moved to Durham. Charles Clark: awarded the university’s first PhD, in botany, 1896. Caroline Black: first female professor, botany, 1911. Margaret DeMeritt: first woman to earn a graduate degree, 1912. Mary Bailey: first May Queen, 1920. On May 26, 1926, Portsmouth’s Elizabeth Ann Virgil ’26 became the first African American to graduate from UNH. Virgil’s portrait today greets students near the entrance to Dimond Library. Lawrence Jensen: first “mayor,” 1926 (UNH mayoralities continued until 1966). Thanks to a Student Christian Association effort led by Judy Austin Rantala ’44, in 1943, Toshiko Baba Yoneji became the first of three Japanese American citizens detained during World War II to be relocated to UNH to earn their undergraduate degrees. From 1980–83, Evelyn Handler served as UNH’s fourteenth president — and its first female leader. 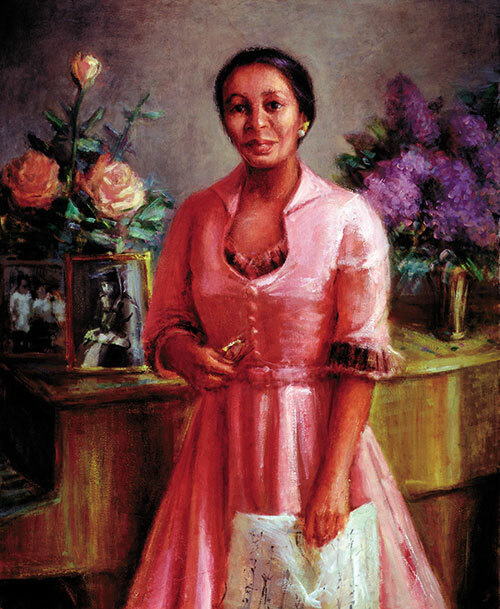 Handler was also the first woman in the country to be named president of a publicly supported land grant university. Robert Bruce ’45: earned a Pulitzer Prize for history in 1988. Donald Murray ’48: longtime UNH writing instructor and winner of a Pulitzer Prize for journalism. 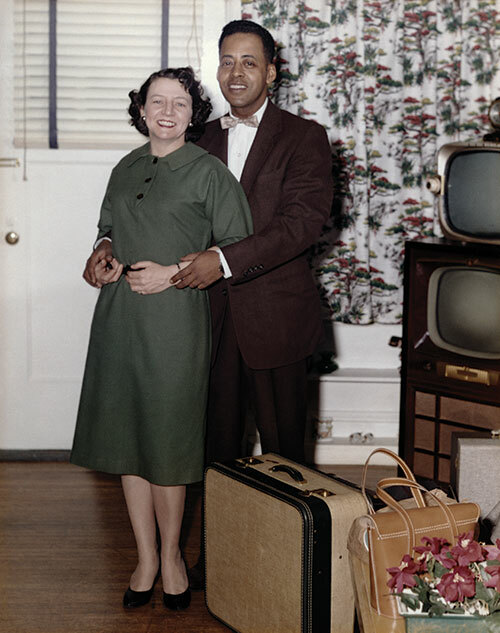 Alongside her husband Barney, Betty Hill ’58 gained notoriety as the “first lady of flying saucers.” Never substantiated, the Hills’ 1961 claim of alien abduction outside remote Lancaster, New Hampshire, was the first nationally publicized report of extraterrestrial abduction. John Irving ’65: American novelist and Academy Award-winning screenwriter. Natalie Jacobson ’65: Boston-area news anchor. Richard Whitney ’68: nationally recognized portrait artist. Ursula Hegi ’78, ‘79G: writer and Oprah’s book club pick for Stones from the River. Lynn Tuohy ’77: journalist and Pulitzer Prize winner, reporting, 1999. Steve Bramson ’78: Hollywood music composer. Alice McDermott ’78G: writer who earned a National Book Award for Charming Billy in 1998. 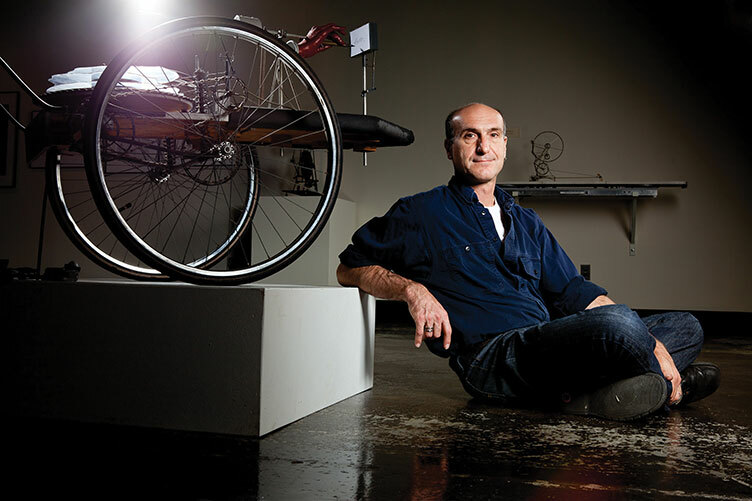 He never took an engineering course, but sculptor Arthur Ganson ’78 spent four years as artist-in-residence in the mechanical engineering department at MIT. Today, Ganson’s kinetic sculptures and Rube-Goldberg machines are found at science museums and art galleries around the world, including the MIT Museum. Michael Kelly ’79: first journalist to be killed while covering Iraq invasion, 2003. Richard Lederer ’80G: author, speaker, teacher and self-described “verbivore” with multiple books on the English language. Barbara Walsh ’81: earned a 1988 Pulitzer for her newswriting about the Massachusetts prison system. Andy Brickley ’82: former hockey player and Boston Bruins announcer. Jackie MacMullan ’82: basketball sportswriter who’s co-written books with Larry Bird, Magic Johnson and Shaquille O’Neal. Mike O’Malley ’88: Emmy-nominated actor and playwright. Tim Janis ’91: music composer who has collaborated with Paul McCartney, Billy Joel, Ray Charles and Andre Previn. Kevin Sullivan ’81: winner of a 2003 Pulitzer Prize for International reporting for a series on the Mexican prison system. Mark Olsen ’81: 2003 Pulitzer Prize winner for photojournalism. Chip Rogers ’83: Pulitzer Prize for journalism. Charles Holmes Pettee: “Pa Pet” was hired in 1876 as NHCAMA’s first dean and served the college for 62 years until his death in 1938. The namesake behind Kingsbury Hall as well as the building’s “Albert’s” café, Albert Kingsbury taught mechanical engineering at UNH from 1889-1899. Internationally recognized as an expert on lubrication, he invented an air-lubricated thrust bearing during his years at UNH that was widely used in ships and large generators around the world. 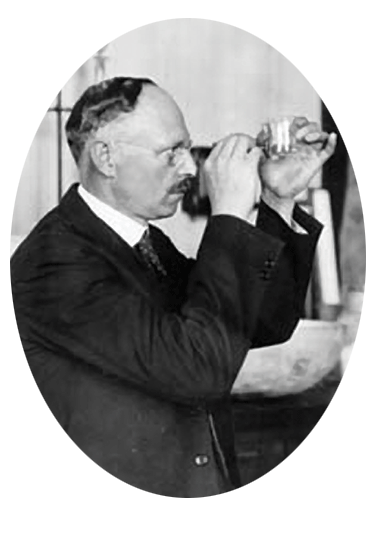 In 1906, chemistry professor Charles James devised a novel fractional crystallization technique for separating rare earth elements. While James Hall bears his name, it’s Conant Hall, where his laboratory was and his work was undertaken, that was awarded national historic landmark status by the American Chemical Society in 1999. C. Floyd Jackson: UNH’s first marine scientist and founder of the Zoological Marine Laboratory on Appledore Island, 1908. Eric Huddleston: the university’s first campus architect, 1914. Oren “Dad” Henderson: university registrar from 1914 to 1939. The 64-bell T Hall carillon was installed and dedicated in his honor in 1952. William “Butch” Cowell: first football coach and athletic director, 1915. Ed and Mary Scheier: famed potters and pottery teachers, 1940. Charlie Holt: won 347 games as UNH men’s hockey head coach from 1968-1986 and is one of only three coaches to be a three-time recipient of the National Coach of the Year award. Murray Straus: sociology prof’s research on family violence and corporal punishment changed theories on childhood discipline nationally, 1968. Charles Simic: Pulitzer Prize-winning poet and U.S. 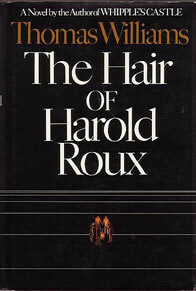 Poet Laureate, 1973. 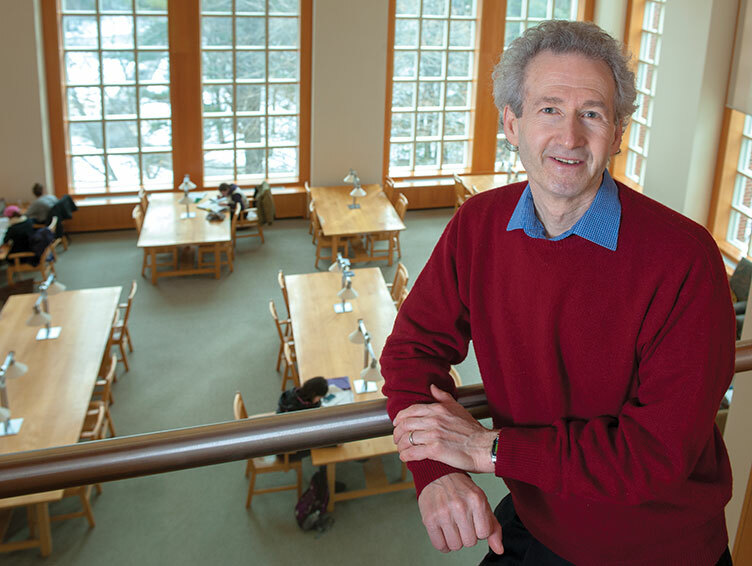 Mathematician Ken Appel did his best-known work before he came to UNH. 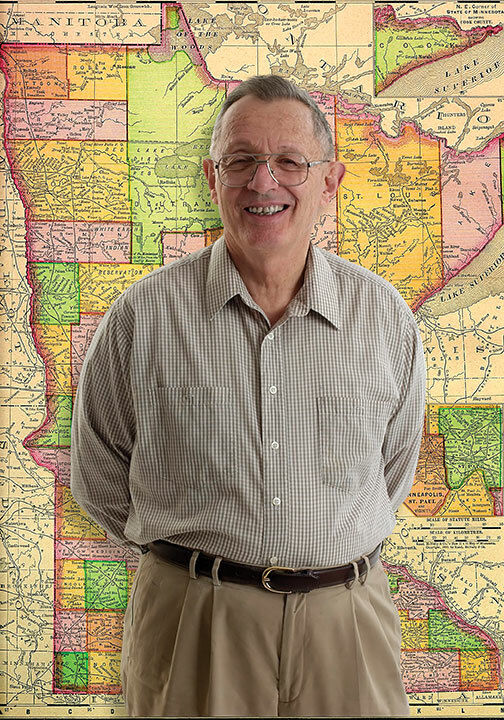 In 1977, he and fellow mathematician Wolfgang Haken published the so-called four-color map proof, which empirically demonstrates that any map of any state or country can be drawn using just four colors, without any entity being the same color as any of its neighbors. Marisa Didio ’78: Women’s lacrosse coach and the first and only coach to lead a UNH team to a NCAA-sponsored championship, in 1985. Jochen Heisenberg, physicist and son of the German scientist who developed physic’s Heisenberg Uncertainty Principle, 1978. Nancy Kinner ’80G, ’83G: UNH professor and international oil spill authority. Clark Terry: jazz musician and beloved adjunct member of the UNH music department, 1988. Psychology professor John “Jack” Mayer and Peter Salovey published what is largely considered the seminal publication on emotional intelligence, or “EQ,” in 1990. More recently, Mayer has advanced the theory of personal intelligence, a broader tool individuals use to understand their personality and the personalities of the people around them. Joelle Ruby Ryan ’96, ’02G: women’s studies professor and transgender educator. Kevin Short: a mathematician, won a 2008 Grammy award for his restoration of a 1949 Woody Guthrie recording. Yitang “Tom” Zhang: published a proof of the twin prime theory, one of mathematics’ oldest questions, in 2013, for which he received a MacArthur Foundation “genius grant” in 2014. 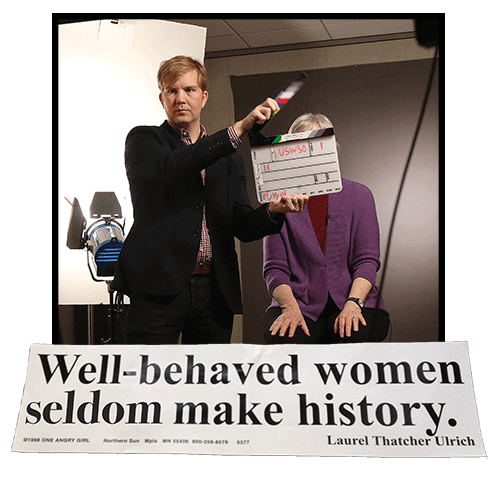 If you said Laurel Ulrich ’80G, you’re correct—the historian and Harvard professor used the phrase in a paper she wrote during her UNH doctoral research in 1976. The oft-misattributed quote is a staple on everything from bumper stickers to t-shirts to coffee mugs. 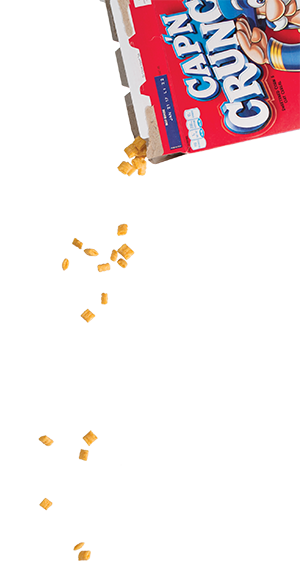 After earning a degree in microbiology, Pam Low ’51 went to work at Arthur D. Little in Cambridge, Mass., where she developed the flavor coating for Cap’n Crunch cereal. The popular flavor was inspired by the butter and brown sugar sauce Low’s grandmother used to pour over rice. C. Peter Magrath ’55: provost and president of multiple universities and namesake of the national C. Peter Magrath Community Engagement Award. Paul Anderson ‘63G: former chief executive officer of pharmaceutical company Merck. Dot Sheehan ’71: founded UNH-based Operation Hat Trick, now a 300-plus team national program. Art Vailas ’73: president of Idaho State University. Lee Morin ’74: NASA astronaut. Robert Caret ’74: chancellor of the University of Maryland system. John LaMattina ’75: former president of biopharmaceutical giant Pfizer, Inc.
Richard Linnehan ’80: NASA astronaut who did several space walks to repair the Hubble Telescope in 2002. It was the end of his freshman year when Alex Fried ’13 first noticed the campus Dumpsters loaded with discarded furniture and dorm items. 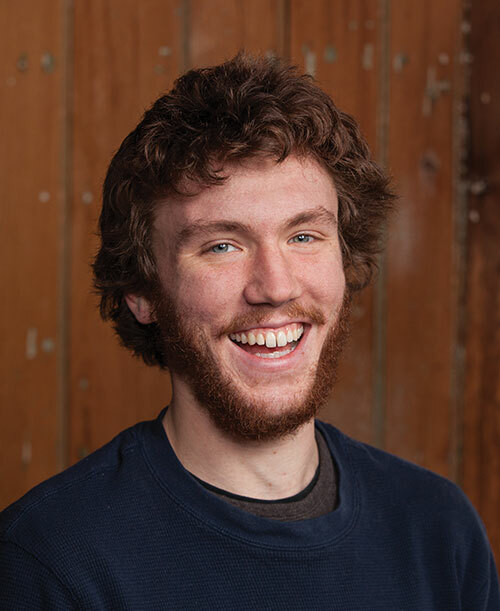 Struck by the waste, he co-founded Trash 2 Treasure to resell useable goods and keep them out of local landfills. Today, Fried is the executive director of the Post-Landfill Action Network (PLAN), a national nonprofit to help other campuses implement similar salvage programs. Charles Hood ’80: only member of class of 1880 and UNH’s first major donor. 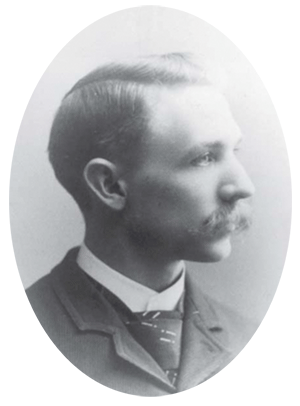 While not himself an alumnus, in 1897, Durham resident Hamilton Smith became one of UNH’s most influential supporters. With a gift of $10,000, he established the Valentine Smith scholarship, the first available to both New Hampshire residents and out-of-state students. Oliver ’21, Austin ’25 and Leslie ’27 Hubbard: New Hampshire chicken breeders who today figure among the university’s best known and most generous benefactors. 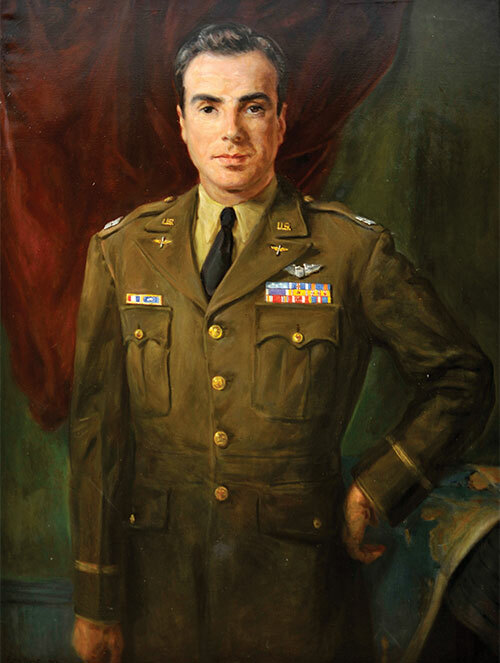 UNH’s first Medal of Honor recipient was Air Force captain Harl Pease Jr, ’39, for whom Newington’s Pease Air Base is named. A fighter pilot during World War II, he was shot down over Rabaul, Papua New Guinea, in 1942 and held for four years before being executed. His medal was awarded posthumously by President Franklin D. Roosevelt. Mel Rines ’47: one of the founding members of the UNH Foundation and the generous benefactor behind multiple gifts, including the university’s first student-run angel investment fund. Richard Valle ’54: president and CEO of the national Valle’s Steakhouse chain. 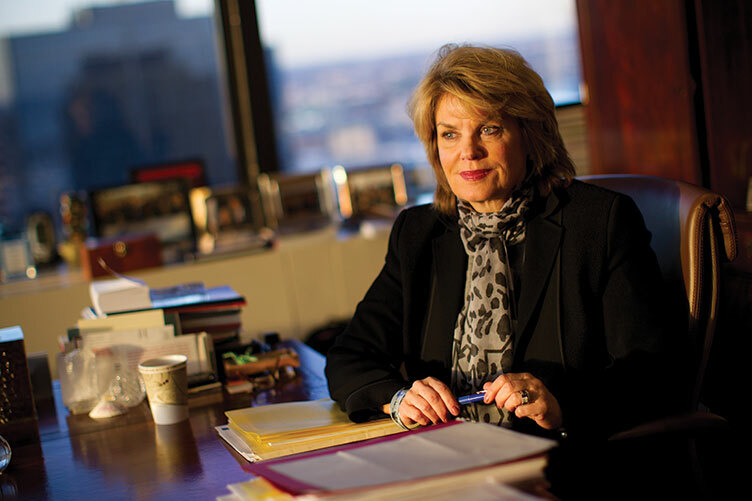 Marcy Carsey ’66: acclaimed television producer and donor behind UNH’s second largest gift, $20 million to establish the Carsey School of Public Policy. Peter Paul ’67: an investor, businessman and UNH benefactor, whose $25 million gift established the Peter T. Paul College of Business and Economics. James Thomson ’67: chief executive officer of public policy think-tank RAND. Vaira Zervins Paegle ‘67G: member of Latvian parliament and People’s Party candidate for president. Steve Merrill ’69: Governor of New Hampshire from 1993–1997. William Gardner ’70: N.H.’s secretary of state since 1976 and the longest-serving secretary of state in the U.S.
Kate Kohler Paige ’70: The second-highest ranking female officer in the Navy under President George H.W. Bush. Tansu Ciller ‘70G: Prime Minister of Turkey from 1993–1996. Daniel Mariaschin ’71: executive vice president, B’nai Brith International. John Lynch ’74: Governor of New Hampshire from 2005–2013. 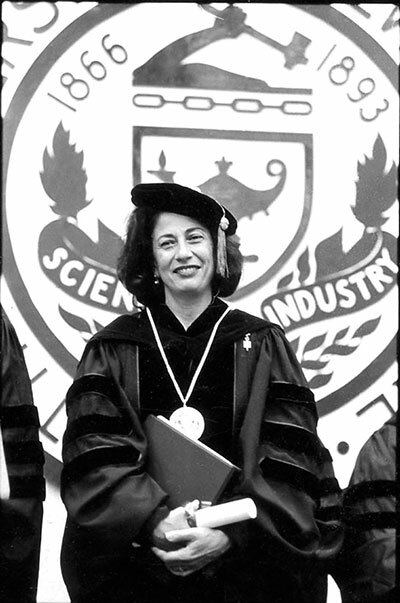 Donna Lynne ’74: Current lieutenant governor of Colorado. David Cote ’76: Chairman and CEO of Honeywell International, Inc.
Euripides Evriviades ’76: Cyprus ambassador to the U.S., Libya, Russia, Germany, Israel and the Netherlands. Gary Destefano ’78: president of global business operations for Nike. Ron Noble ’79: Head of the International Criminal Police Organization (INTERPOL) from 2000–2014. Lori Robinson ’81: First female officer to head up a global war command. Colleen Ryan ’82: former commander of Wright-Patterson Air Force and current president of Vectren Ohio Energy Delivery. As the son of Sherpa Tenzing Norgay, Norbu Tenzing Norgay ’86 spent much of his early life known for his famous father, who accompanied Sir Edmund Hillary on the first successful summit of Mt. Everest in 1953. 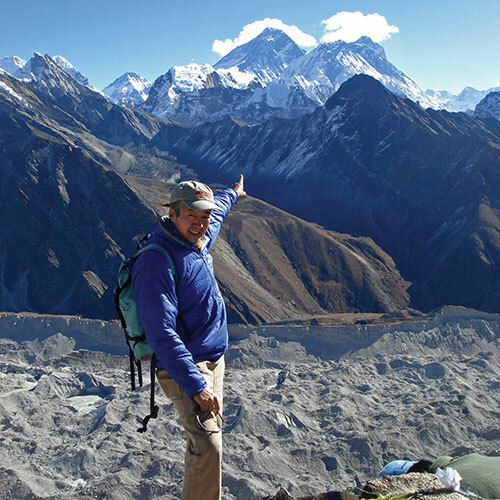 Today, Norgay uses his famous name to protect the mountain his father conquered: he’s a vice president with the American Himalayan Foundation, an organization dedicated to helping the people and ecology of the Himalaya. Jonathan King ’87: co-owner of Stonewall Kitchen. UNH parent Dana Hamel has been one of the university’s most generous supporters, establishing the Hamel Scholars and Scholarships Program in 2008 to keep one of the state’s most valuable resources — its top young minds — in the Granite State. He’s also the force behind the Hamel Center for Undergraduate Research and a wide range of other initiatives. Shawn Gorman ’89: chairman of the board, LL Bean. Dawn Zimmer ’90: current mayor of Hoboken , N.J.
As a senior, former Chicago Bears cornerback Jerry Azumah ’99 set all sorts of gridiron records at UNH. His record-setting ways didn’t stop with graduation; in 2003, at the age of 25, the Walter Peyton Award winner became the youngest alum to make a $100,000 gift to his alma mater. Ryan Pitts ’13: 2014 recipient of the Medal of Honor.